Pampered Pets on a Budget, Caring for Your Pet Without Losing Your Tail! 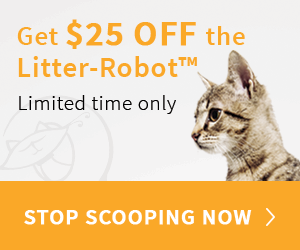 Caring for a pet doesn’t have to break the bank. If your pet budget is limited, saving on toys and supplies is imperative, but spending quality time with your pet and including them in your exercise routine is cost free. These combined savings allow you, the pet parent, to use your monetary budget on the things you yourself cannot provide—such as preventative veterinary care and a healthy diet. I wrote Pampered Pets On A Budget to help pet parents determine what expenses are most important and which ones can be avoided or reduced. Keeping pets healthy and happy at home is not only the responsible thing to do as their caretakers, but it will pay us back in dividends of unconditional love, laughter and health. It’s no secret that pets are popular. In fact, today’s pets play an integral part in the lives of their loving owners and are often considered members of the family. However in today’s tough economy, costs for pet health care, food and other supplies have risen just as human health care and food costs have. Therefore, people are not only rethinking where they shop, what they eat, and what car they drive—they are also rethinking how much they spend on their pets. Fortunately for pets, when times are tough, Americans tend to focus more on family. And since pets are family, they are often the last item a family is willing to cut from the budget. In addition, because of the many health, fitness and social benefits that pets provide, caring for pets wisely and responsibly can actually be a great investment for our own human health and wellness. In the United States alone, it is estimated that 63% of all households own a pet—which in turn drives an estimated $50 billion industry devoted solely to companion animals. Having doubled in spending since 1997, the companion pet industry now boasts more experts, products, services and resources than ever before. With an industry this huge, it is easy to get lost in the barrage of things that are coming at you as a pet owner, particularly when one encounters various and differing opinions. The purpose of Pampered Pets on a Budget is to help pet parents uncover new ways to save on the products and services you need to take great care of your pets, without compromising your pet’s health and wellness care or severely damaging your pocketbook. While no one book will answer all of your questions, Pampered Pets on a Budget will provide a starting point for the important things you need to know to enjoy your role as a pet owner. As you begin reading, be sure to remind yourself why you purchased your pet and what role that pet plays in your life. By combining those reasons with your love for your pet and the education you will receive from Pampered Pets on a Budget, you will be able to make important decisions about your pet’s health and lifestyle—without losing your financial tail! Kristen M. Levine’s volunteer work led to a fifteen-year career as the Public Relations Director of the Society for the Prevention of Cruelty to Animals, Tampa Bay, Florida, where she played a critical role in promoting pet adoption and pet lifestyle education. Kristen’s knowledge of pet lifestyle concerns and family dynamics coupled with her understanding of public relations led her to found Fetching Communications, the nation’s first marketing and public relations firm wholly dedicated to serving the pet industry, in 2003. 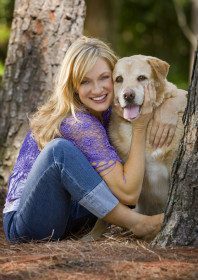 Having logged over 1,000 live national radio and television show appearances, Kristen is also a frequent contributor to pet and veterinary trade magazines nationwide. Kristen serves as Bissell Homecare’s official pet spokesperson, educating pet parents about pet clean up solutions, as well as on the Toyota Pet Expert Team (P.E.T. ), where she shares her knowledge to help develop programs to teach pet parents the importance of properly protecting and securing pets in automobiles. Kristen lives in Florida with her husband, dog, two cats and a pair of miniature donkeys. Jeffrey L. Barnes is a business advisor, consultant, and business intermediary, who strives to give veterinarians and business owners sound business advice in their day-to-day operations and represents them when they buy or sell their practice or business. His professional experiences with such respected companies as Aventis, John Deere, Merial, and the Sandler Sales Institute has afforded him the extensive sales, client service, and marketing knowledge that he now shares with countless veterinarians, practice managers, manufacturers, distributors, local, state, and national veterinary associations. Jeffrey lives in Tampa, FL with his wife and two dogs. Buy Pampered Pets on a Budget Now!